MADAWASKA, Maine (WTVD) -- Police in one Maine town are warning residents about some pretty scary criminals - the "Cookie Cartel." Officers with the Madawaska Police Department posted the warning on their Facebook page, highlighting the cartel's tricky ways. 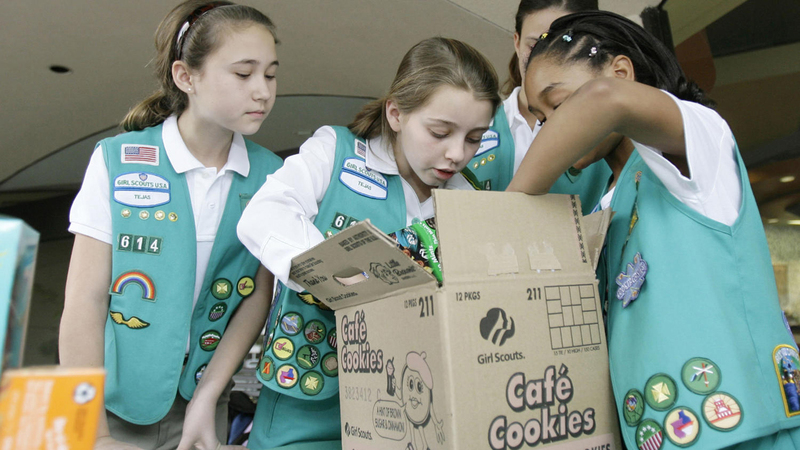 "This 'Cookie Cartel' is run primarily by young girls who lure you in with a good cause story and soon you're addicted to these dangerously delicious things." Yep, they're warning residents about the ever so addicting Girl Scout Cookie and how the season is in full swing. "We have received reports that highly addictive substances will soon be circulating in our area," the post read. "These substances go by the street names of Carmel deLites, Thin Mints, Peanut Butter Patties, Thanks-A-Lot, Peanut Butter Sandwich, Shortbread and S'mores." "If you come into contact with any of these cookies, you can drop them off at the Police Department. Officer Garrett Albert has courageously volunteered to 'dispose' of them." RELATED: Girl Scouts mark 100th year of selling cookies with new treat - S'mores! Most residents took the post in good spirits; it's been shared more than 500 times.